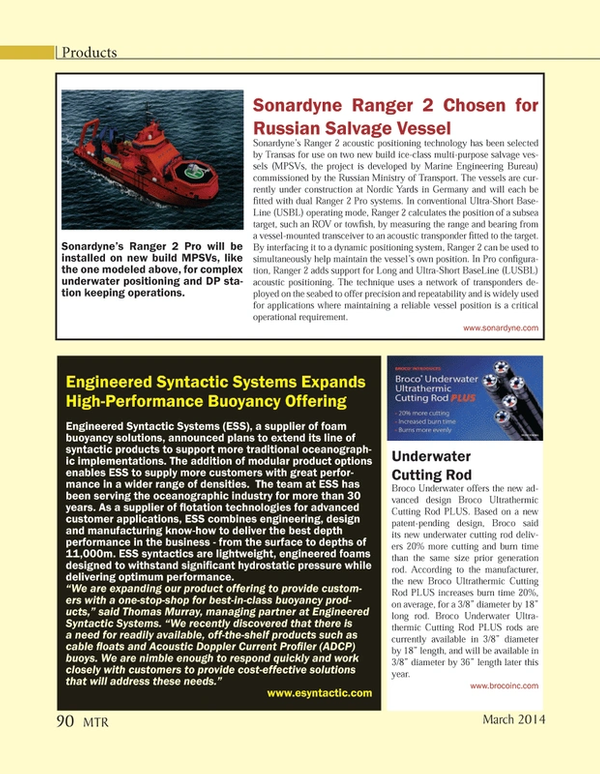 Engineered Syntactic Systems (ESS), a supplier of foam buoyancy solutions, announced plans to extend its line of syntactic products to support more traditional oceanographic implementations. The addition of modular product options enables ESS to supply more customers with great performance in a wider range of densities. The team at ESS has been serving the oceanographic industry for more than 30 years. As a supplier of flotation technologies for advanced customer applications, ESS combines engineering, design and manufacturing know-how to deliver the best depth performance in the business - from the surface to depths of 11,000m. ESS syntactics are lightweight, engineered foams designed to withstand significant hydrostatic pressure while delivering optimum performance.